Pokud jste fanoušky hororové tématiky gore a zombie, tato kapela pro Vás nebude žádnou neznámou. Španělský kvintet GRUESOME STUFF RELISH, opravdu reinkarnuje nejlepší roky horror grindu, kdy světu vládlo IMPETIGO!!! GRUESOME STUFF RELISH byli založeni v roce 1999 na troskách kapely Repugnance s jasnou vizí, hrát mix starého gore grindu ve stopách Impetigo nebo Necrony s texty oplývající láskou ke starým klasickým italským splatter horrorům. Tato banda vydala už nespočítaně nahrávek v různých formátech a taky tři dlouhohrající alba, z nichž hlavně jejich debut „Teenage Giallo Grind“ vydaný u amerických Razorback records, sklidil velký úspěch. Kapela taky čile koncertuje a na OEF bude hrát už potřetí. My se ale nemůžeme nabažit tohoto skvělého old school gore grindu a proto je rádi opět uvítáme mezi zombies na Bojišti!!! Budete sežráni zaživa!!! 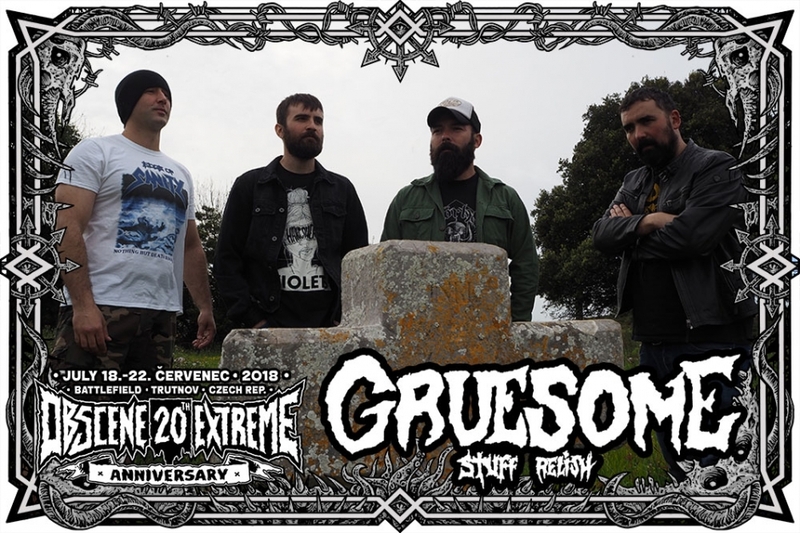 Gruesome Stuff Relish is an underground death/grind band from Spain who are the ultimate fusion of early 90′s old-school Swedish death metal (Carnage, Dismember) and the splatter/gore sound and feel of Impetigo and Necrony. The band’s concept revolves around their extreme love for the classic Italian horror films from the 60′s, 70′s and 80′s. Giallo killers, cannibals, zombies, and other lurid tales of terror! Gruesome Stuff Relish was formed in 1999 from members of early 90′s death metal band Repugnance and released their first full length in 2002 through Razorback records. After all these years they have recorded a dozen of eps and compilations and 3 full lengths. Let the blood flow!!!! !